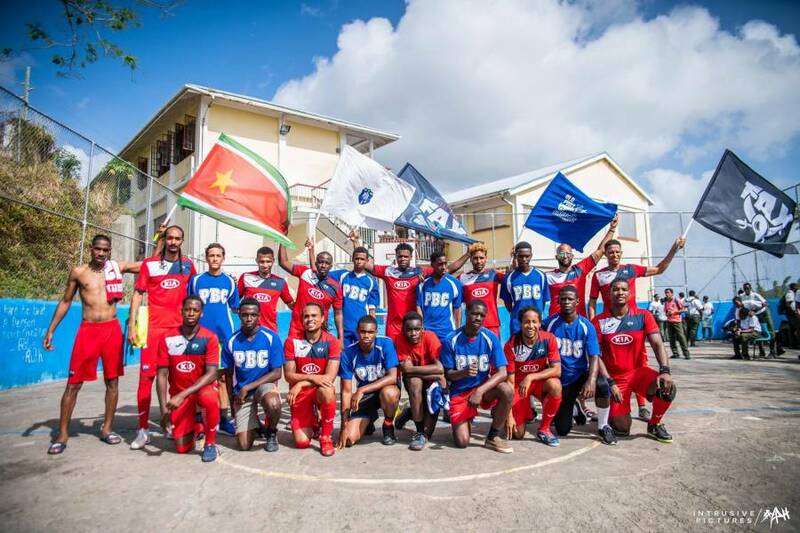 On Monday students from Presentation Brothers College (PBC) got the opportunity to understand the fundamentals of Futsal with visiting Guadeloupean team FAX Futsal. The team arrived in Grenada aboard the Costa Magica which berthed at the Melville Street cruise ship terminal. After exhibiting a musical performance with drumming and chanting in front of the Esplanade Mall, the team paid a special visit to PBC where they engaged the young men in a friendly exhibition match. “The experience has been good. It is good to have international Futsal players coming here and give us some experience and teach us what they know about the sport. We are very happy, and we learned a lot.” said PBC’s Football Coach Lydon Cato. Similar to soccer, Futsal is played with 5-man teams on a basketball style indoor court. Because Futsal requires a smaller playing area as compared to Football, this means more pressure on the ball, less running with more passing, and a lot more controlled movements with the ball allowing lots of sharp movement off the ball since players are never static. The sport is recognised by the Confederation of North, Central America and Caribbean Association Football (CONCACAF). It was once seen as an amateur sport but in recent years has seen tremendous growth in popularity after professional football players such as Pele, Zico, Ronaldo and Neymar, credited Futsal for allowing them perfect their skills before transitioning to the outdoor game. 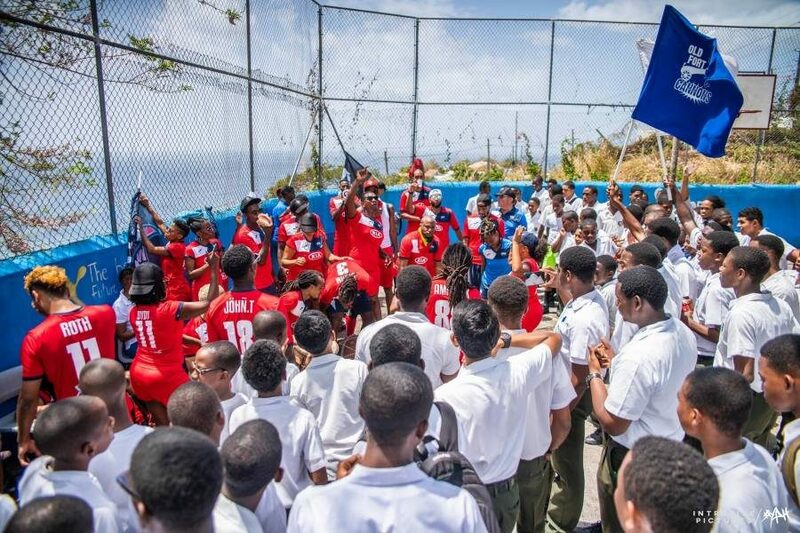 After their exhibition match, the Futsal team left Grenada for Barbados where they will be engaged in similar activities on the island. Their tour is expected to conclude in St Lucia. The Guadeloupean Futsal Team is the first club to set up a women’s futsal team and an academy that aims to bring a new mode of governance and communication in the Guadeloupean Sports Associations.